General Description:A clear colorless liquid with a pleasant odor. Slightly denser than water. Flash point 194°F. Boiling point 401°F. Contact may irritate skin, eyes, and mucous membranes. May be slightly toxic by ingestion. Used to make other chemicals. Air & Water Reactions:Slightly soluble in water. This benzyl alcohol is a medium boiling point optimal solvent. 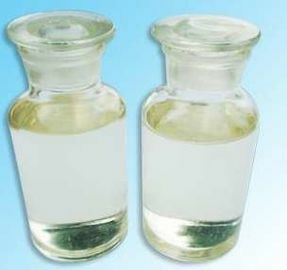 It is mainly used as solvent of coating, printing ink, organic glass, medicine and synthetic resin, photographic developer, PVC stabilizer, antiseptic for ointment or liquid medicine, solvent for printing oil of meat and ball pen oil, degreaser of carpet, welded joint detergent, stabilizer of organic silicon solvent and intermediate of benzyl ester or ether. The product is a kind of very useful fixative and it is an indispensible spice for making the essence of jasmine and tuberose, soap and makeup. Benzyl alcohol is a good middle boiling point solvent. solvent for meat products stamp-pad ink and ball-point pen oil. It is used for carpet degreaser; crater cleaning agent; silicone solvent stabilizer; benzyl ester or ether intermediate. Benzyl alcohol is a kind of very useful perfume fixative. It is an indispensable spice when jasmine, tuberose or ylang is mixed, and used to compound soap and daily cosmetics. Benzyl alcohol is used as a general solvent for inks, paints, lacquers, and epoxy resin coatings. It is also a precursor to a variety of esters, used in the soap, perfume, and flavor industries. It is also used as a photographic developer.